Tracking your marketing efforts is essential for achieving success. Without the use of effective methods and metrics, you are simply throwing money into the well without knowing whether your wishes are coming true. 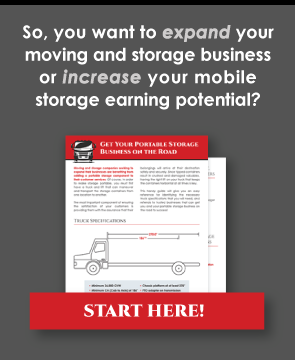 When tracking the marketing efforts of your mobile storage business, the following are some strategies that can help you determine what is working and what isn’t. Funnel Reports show you how well your efforts have performed throughout the year. They show how many people respond to each campaign. Each funnel starts with phone, email, social media, or in-person contact. These funnels narrow into signups and customer sales. You may also create funnel reports for customer retention, repeat customers, referrals, affiliate sign-ups, etc. These funnels should be created for every individual marketing campaign and your overall marketing efforts. Most importantly, be sure to compare the funnels side-by-side and look for areas where you can connect and streamline your efforts. It is imperative to tag your URLs with UTM code. The UTM is a parameter that makes it easy to see who is visiting your site and what source they are coming from. These are easily inserted using a URL builder. They are important because they allow you to see whether you are getting direct traffic, organic traffic from a search engine or referrals. UTM codes also allow you to see whether your paid marketing efforts and social media strategy are paying off. Predictive analytics looks at the patterns within your marketing efforts. It shows you what days of the week generate the best results, what campaigns attract the most clients, and which months are most profitable. Reviewing these patterns and taking action based on the data you discover can be a very profitable use of your time. Phone calls and in-person visits should be logged and reviewed. Often, this data gets left out of the equation in the digital era. The reality is that a large number of customers still make their first contact via a phone call or in-person visit. When you talk with customers, be sure that you determine how they found out about your business. Record this information within your marketing metrics. Doing so may show you how to connect and streamline the marketing channels that are working the most effectively to generate revenue for your mobile storage operations. Always keep a close eye on what you are spending and where you are spending it. As you review each of your marketing metrics, be ready to make adjustments based on the what the data tells you. This will help you generate the “biggest bang for your buck” and will greatly improve the results of your efforts. One of the best ways to do this is to calculate the cost-per-contact and cost-per-sale. Often, mobile storage operators who use these metrics discover that while one marketing channel might be cheap and deliver a high contact rate, but another more expensive option delivers a lower contact rate and a higher sales rate. Learn to let go of ineffective marketing efforts. What worked in the past may not work in the present. If your metrics show that a method isn’t working, then you either need to change it or drop it like a hot potato. Tracking and managing your marketing efforts is something that should be done on a schedule. It should be done weekly, monthly, quarterly, and annually. The more effort you spend reviewing your marketing campaigns, the better the returns will be for your business.